Oslo Vikings win Back to Back Norwegian championships!! 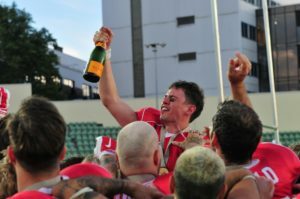 After a hard fought season, the Oslo Vikings Elite team defended their championship crown. 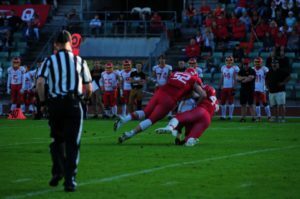 The Oslo Vikings capped off their undefeated season with a one sided victory in the championship game defeating the Eidsvoll 1814`s with a score of 51-7. In sports, you always want to save your best game for last. The Oslo Vikings truly did that Saturday July 8th at Bislett Stadium. 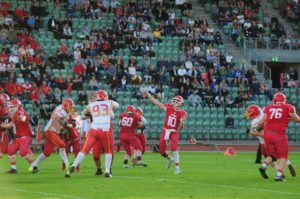 Leading the way on Offence, was quarterback #10 Robert Mehmet Sezer, runnning back # 22 Jesper Jørgensen and Mr. do it all #5 Erik Ford. Sezer finished the day with throwing 3 touchdown passes and not turning the ball over once. Two of those touchdowns were caught by WR #5 Erik Ford. One was a 50 yard fade up the right sideline and the other was a 60 yard catch and run up the left sideline. The third touchdown pass was a beautiful diving grab by WR # 13 Nikolas Weise on a post route 30 yards out. On Defense, the Vikings were lead by the usual suspects. Linebackers # 44 Andreas Lid and #6 Kim Schaanning were all over the field making plays shutting down the 1814`s Offence all game long. 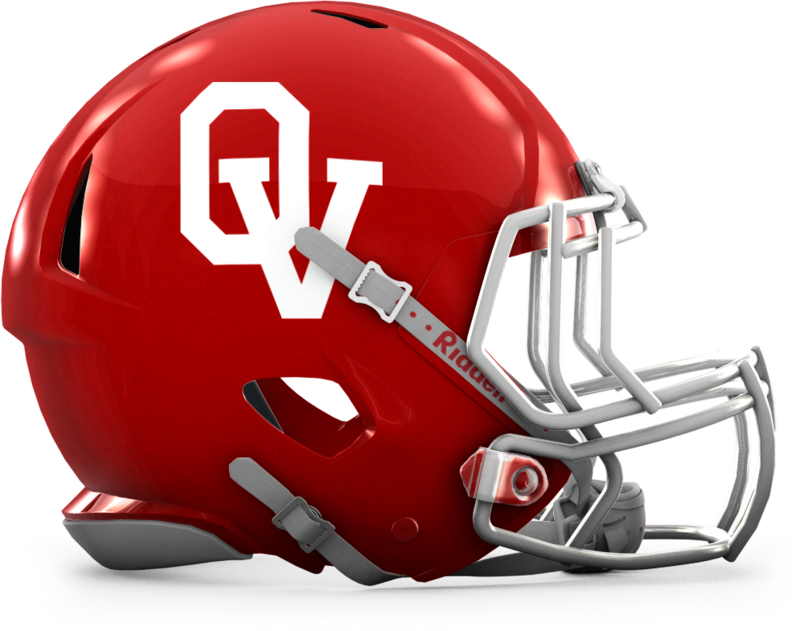 Lid finished the game recording 13 tackles and Schaanning finished with multiple tackles and 1 interception. #44 Andreas Lid and #52 Magnus Kinne with the QB sack. In the trenches, the Vikings had a great push up front from Defensive linemen #52 Magnus Kinne and Defensive tackle #75 Aleksander Andric. They were disrupting the opposing quarterback when they decided to pass and they were stuffing the run in the backfield when they opted to run. WR/DB/P , Erik Ford saluting the crowd after accepting his MVP trophy. 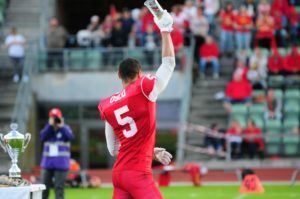 After catching his 2 touchdown passes on offence, WR/DB # 5 Erik Ford capped off his amazing finals performance with a 55 yard pick 6 touchdown return. Making that his 3rd touchdown of the finals. With that, it earned him MVP honors for the National championship. 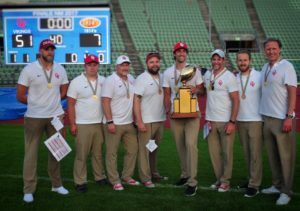 Oslo Vikings coaching staff holding the hardware! On behalf of the entire Oslo Vikings organization we would like too thank you all for your continuous support throughout the years. With out all the friends, family and fans support this club would not be what it is today, and that is Back to Back Norwegian National Champions!!! If you or anyone you know would like to join the Oslo Vikings family please contact us via facebook or our website! All players, coaches and support staff welcome. Our U 15 program will be starting Saturday August 19th at 10:00 in Frogner stadium. Our Seniors( anyone 17 and older) will be starting Thursday August 24th at 18:15 in Frogner stadium. 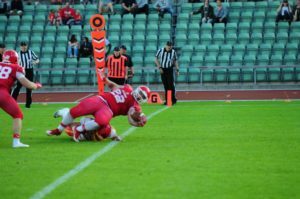 Here is a link to a video from the Norwegian National Championship Amerikansk football Norway put together, Enjoy!